One of the ultra-short hair extensions styles: the girls are slightly hot and clip in hair extensions. The ultra-short hair extensions uk combined with the perm design adds a touch of fashion, and the length and length of the human hair extensions design add a lot to your face value. You will look sweeter and more beautiful. 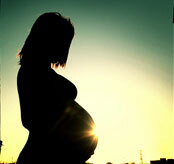 This is a site for anyone looking for information about methadone and pregnancy. Are you a pregnant woman who is using drugs such as OxyContin, Vicodin, morphine or other opiates or opioids and are unsure what your options are? Are you a pregnant woman in methadone treatment and are looking for information about remaining in treatment during your pregnancy? Are you are a family member or friend of a pregnant woman in methadone treatment and want to learn more about this topic? Or are you a professional working with pregnant women in methadone treatment and would like to improve your understanding of this special population? This web site has been created to provide information about methadone and pregnancy, regardless of why you are seeking to increase your knowledge on this topic.